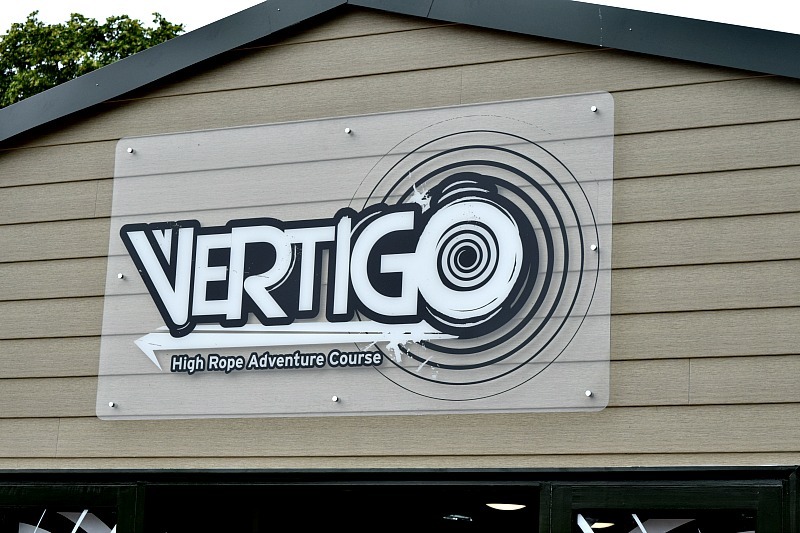 We were recently invited to try out VertiGo, the brand new high rope adventure attraction at Drayton Manor. We had seen it was being constructed the last time we visited and were really excited to try it out. As ambassadors we got to attend on the opening weekend and we all got to have a go to see what we thought. 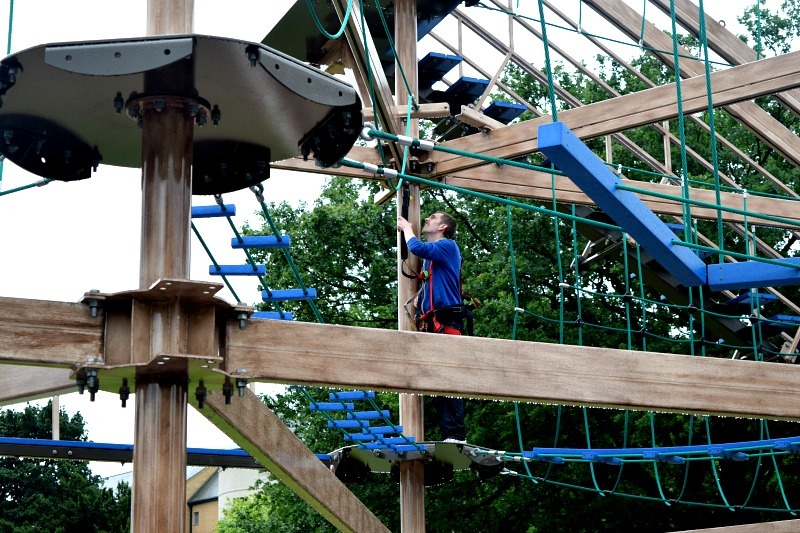 VertigGo consists of two rope courses, one for Adults and one for Tots. 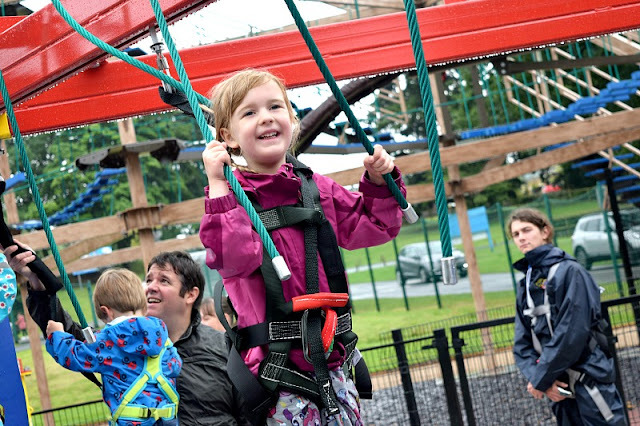 When we arrived it was pouring down with rain but the kids were the first to volunteer to take on VertiGo. Both Gracie and Zach went on together with Andy assisting them as all children on the Tots course need an adult to assist them. We watched a safety video, then they were fitted for their harnesses. The staff were brilliant and tried on three different harnesses on Gracie to ensure she had one that was the perfect fit to keep her safe. The kids were so good on the course. You are only allowed one person on each rope challenge at a time and all of the kids, including other people's children would wait patiently for their turn. The kids get around 20 minutes once they are on the course. Both Gracie and Zach really enjoyed the course and tried every single rope. I actually think both would give the adult course a good go if they are tall enough! Andy was up next and he loves this kind of thing so he completed the whole course and really enjoyed himself. He said even for him there were a few difficult ones as well as the easy ones. He really liked the zip lines too. You can see our video footage of both VertiGo and VertiGo Tots in the video below. The prices are as follows; VertiGo is separate to the park so you can visit VertiGo exclusively or you can enter the park before or after with park tickets. Looks like such a fun day out - and a great chance to be active too! Yes it really is and it is a great thing to enjoy all doing together. That looks so much fun! I bet kids would have a blast! There were so many kids there and they were all really enjoying themselves. It really is fun for all ages! Thank you :D and I thought the prices were great too. It makes it justifiable to pay the added costs after ticket entry as family days out are not cheap as it is. You are so brave! It looks like a really fun, active day out! Thanks it was really fun. So much laughter and happiness which is all I ask for in a day out. It is brand new, it only opened a few weeks ago. haha yes! as a child I was always climbing even to the tops of trees in the woods. I have no idea why they make me so nervous now. Must be the adult in me thinking of the dangers. No the price is very reasonable! It was great fun. Thank you, it was really fun. I would definitely do it again! I'm not either. It was scary but was so pleased that I had done it. Oh that's a shame! I am sure it will be a permanent addition to the park so maybe next time?! This makes me think of Go Ape! Something I haven't tried as I'm too scared to! A few people have said that! I haven't been to Go Ape either but I might now when the kids are a bit bigger to see what the fuss is about. I must have been pulling the funniest scared faces whilst doing it. So glad my camera doesn't zoom that far haha and yes it is very fairly priced! Looks like such a fun day out, it's good to be active with your children! 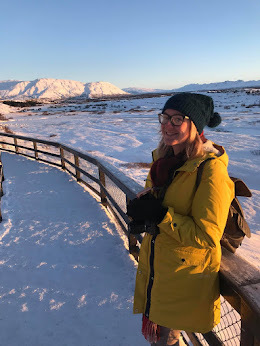 Yes my kids love adventure type things and it is so much fun exploring with them! oh bless you. I is such an empowering feeling to do something that makes you scared! This reminded me of Go Ape. Looks like so much fun! So many people have said this. Go Ape is now on my list of places to visit!